Yellow Sapphire is a highly precious, yellow colored gemstone of the Corundum mineral family. It is worn to get blessings of Jupiter. Pukhraj stone gives good health, wisdom, prosperity, financial gain, longevity, and name, honored and fame. Yellow Sapphire is known as Pukhraj Gemstone in Vedic Astrology. Yellow sapphire should be studded with a gold ring and worn on the index finger, on a Thursday, which falls in the shukal paksh. Yellow sapphire price depends upon its cut, clarity, carat, and color. Ceylon yellow sapphire considered the best one. Check the yellow sapphire price per carat in India. Buy yellow sapphire gemstone at wholesale price @ shop.yellowsapphire.org.in. 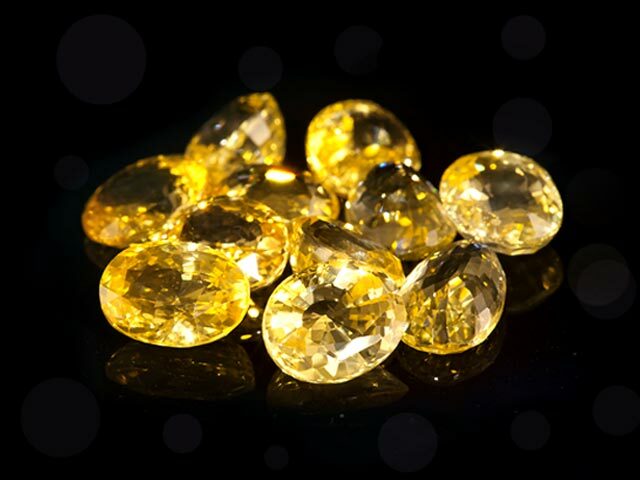 We provide natural yellow sapphires for astrology & jewelry. Contains a number of inclusions that can be seen from bare eyes. However, the price of the standard yellow sapphire gemstone is reasonable that allows people to purchase this gemstone. The fine quality yellow sapphire stone will have fewer inclusions and it is barely possible to spot inclusions with bare eyes. Due to its quality parameter, the price of the stone is around 2500+ Rs per carat. 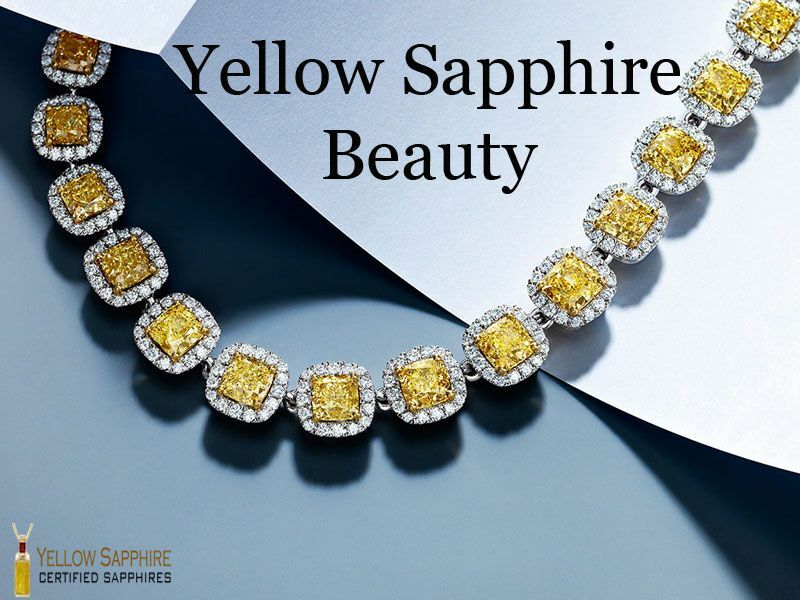 The premium quality yellow sapphire is the high-quality gemstone. It encompasses only a little inclusion that is barely seen with the naked eyes. The cut, clarity, and inclusions make this best-looking gemstone. The super premium Yellow Sapphire Gemstones are the top quality stones. On the parameter of quality, these stones are very near to Natural Yellow Sapphire or original Yellow Sapphire Gemstone. Yellow sapphire or Pukhraj Ratna is termed as the most auspicious stone due to its affliction with the precious planet Jupiter. The Jupiter blessed yellow sapphire injects love and harmony in marital relations. Therefore, it is advocated that married couples should this stone. The Jupiter signifies intellect and wisdom, thus wearing this valuable gem assists in bringing wisdom and positive thinking in one’s mind. The yellow sapphire is birthstone for Sagittarius and it is quite benevolent to those who born under this sign if they adopt this stone. Yellow Sapphire is a cold gem. It improves vision, gives life security, protects ones from poverty, removes adversity, misfortune and melancholy. Yellow sapphire is stated to be the most crucial and benevolent gemstone by the virtue of its auspicious association with coercive planet Jupiter. Jupiter acts as teacher among all the planets and it carries attributes like wealth, sound health, prosperity, wisdom for its wearer. It is acknowledged to be the most auspicious planet. Best Time to wear Yellow Sapphire: between 5 am to 7 am on ShuklaPaksha days. Mantra to wear Yellow Sapphire: “OM GURUVE NAMAHA”. Yellow Sapphire although flexible in its effects needs to necessarily be worn only on the correct hand index finger. Yellow Sapphire represents the planet Jupiter. And Jupiter is recognized to be the largest planet that has its comparison with Saturn.